While holders VfL Wolfsburg got FC Barcelona, an all-English quarter final was among other intriguing results of the draw for the end stages of the 2013/14 competition. FC Barcelona lie in wait for last season's UEFA Women's Champions League winners VfL Wolfsburg following the draw for the closing stages of the competition in Nyon, with an all-English tie among the other quarter-finals. Wolfsburg overcame two-time champions Olympique Lyonnais to take the title for the first time, and could set up a semi-final meeting with German rivals 1. FFC Turbine Potsdam – winners in 2005 and 2010 – if they get the better of Barcelona. Potsdam eliminated Lyon in the round of 16, with a visit to Italy to face ASD Torres CF the next item on their European agenda. In England, 2007 UEFA Women's Cup winners Arsenal LFC have the exciting prospect of a tussle with domestic rivals Birmingham City LFC, with the Gunners to host the second leg. The victor in that tie will take on the side that prevails in the encounter between star-studded Swedish contenders Tyresö FF and Austrian surprise package SV Neulengbach. The final will be at the Estádio do Restelo, Lisbon, on Thursday 22 May, two nights before the men's decider in the Portuguese capital. 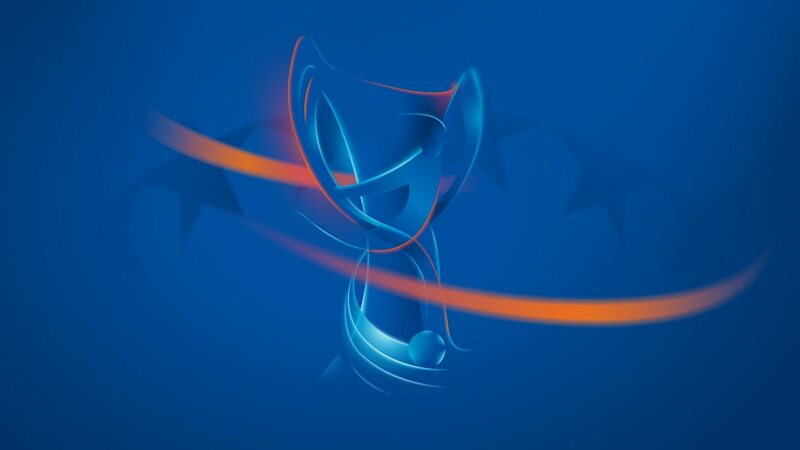 UEFA.com looks at the eight teams hoping for glory in Lisbon in May in the latter stages of the 2013/14 UEFA Women's Champions League, following the draws in Nyon. Olympique Lyonnais lost on away goals to 1. FFC Turbine Potsdam as the round of 16 ended with ASD Torres Calcio, SV Neulengbach and Tyresö FF also progressing. Holders VfL Wolfsburg and 2007 winners Arsenal LFC are through to the quarter-finals alongside two last-eight debutants – FC Barcelona and Birmingham City LFC. Luisa Wensing said it was "nice one of my headers finally went in" after VfL Wolfsburg's 5-2 aggregate win over an FC Malmö side "already looking forward" to next season.